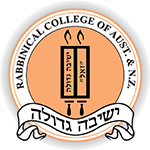 Term Dates - Rabbinical College of Australia and N.Z. Second year students transferring to another Yeshivah may leave as early as absolutely necessary to begin their next Yeshivah year on time, but not before the day after Tisha B'Av, i.e. Monday, July 23, 2018. Students going to New York for Tishrei will have permission to leave on Wednesday, September 5, 2018. Second year students transferring to another Yeshivah may leave as early as absolutely necessary to begin their next Yeshivah year on time, but not before the day after Tisha B'Av, i.e. Monday, August 12, 2019. Students going to New York for Tishrei will have permission to leave on Wednesday, September 25, 2019.